Straight Smile Centres offer of Invisalign® treatment options for adults and teens living in Surrey, Delta and Langley. The general dentists at Straight Smile Centres are here to help you achieve the straight, even smile you've been dreaming of – with clear custom aligners from Invisalign. Our friendly, professional, and knowledgeable dentists and staff will walk you through the options to determine if Invisalign is right for you. Throughout your Invisalign orthodontic treatment, we'll guide you each step of the way down the path to your beautiful new smile. 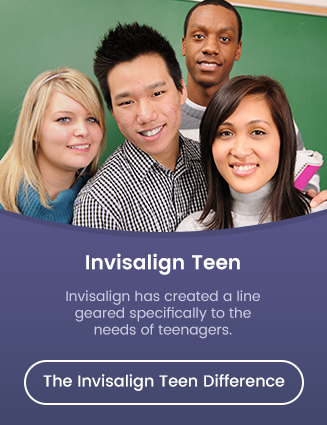 Convenient, comfortable, and nearly invisible, Invisalign is the clear choice for orthodontic treatment. With Invisalign's unique clear orthodontic aligners, you can achieve a straighter smile without anyone ever knowing you're undergoing orthodontic treatment.